1.Which figure completes the series? 2. 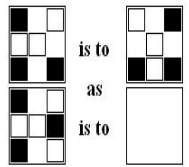 Which figure completes the statement?